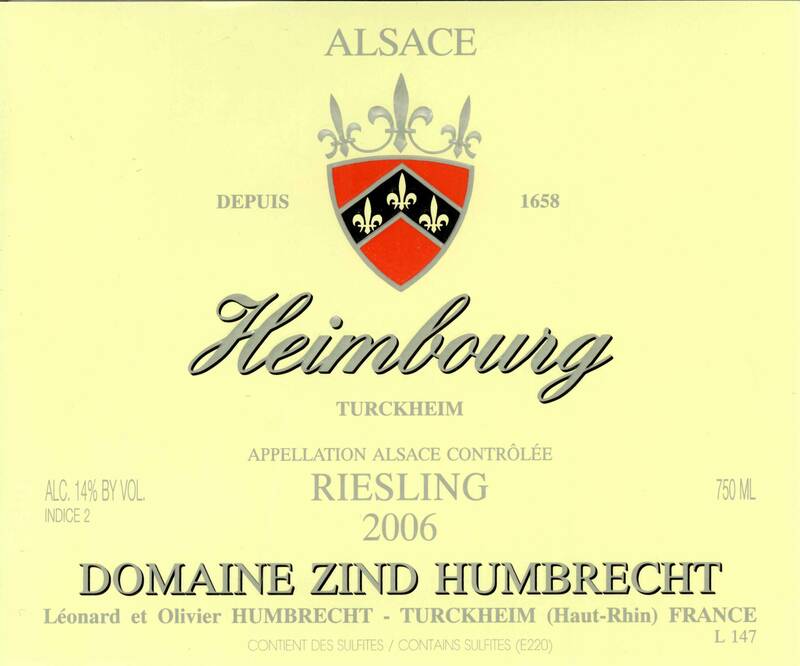 We planted many different grape varieties in the Heimbourg, but chose the Riesling for the steep South facing part. This was perhaps one of our most difficult plantation, besides the Rangen of course. The land was abandoned after WW2 and trees and shrubs occupied the land, the stone walls felt down and erosion did some damage. The strong slope (over 50% in some part) made the reconstruction difficult. Being located just across the road from the Clos Jebsal, we hoped that this vineyard would perform very well. We already had some great successes in the past, but I think that the 2006 is now showing us that this is a potential GC soil! 1/2008: the nose is powerful, very aromatic (floral, citrus), so intense, that the minerality is barely showing now. The palate is intense, repeats the nose character, but also shows that this is calcareous soil. The acidity is sharp, manages to balance the sweetness to leave the mouth dry on the finish. There is a great sensation of fullness and satisfaction in this wine today, and a promise of complex development for the future. After 8-10 years, this wine will taste dry.